Cartier’s extraordinary history, travels and encounters with exceptional personalities are behind the Cartier style. 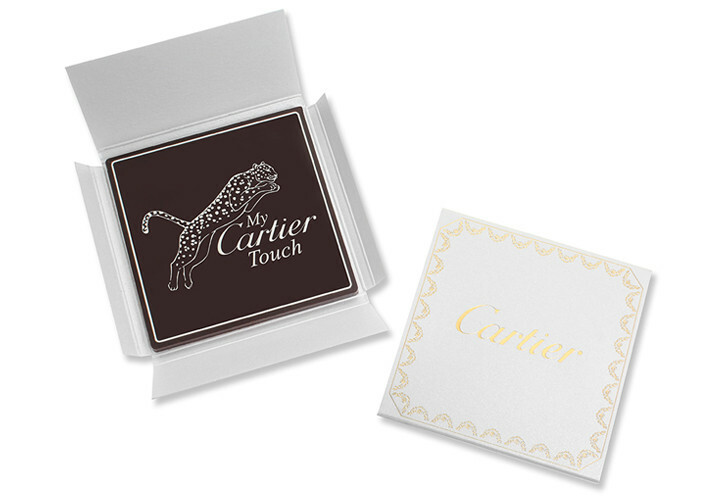 The ‘My Cartier Touch’ campaign is an international staff training scheme that communicates techniques to its Sales Associates to interact with their customers with patience, understanding and attention. They focus on innovation, passion, craftsmanship and share experiences to create a unique piece to fulfil the customer’s desires. The Flagship store in London’s Bond Street created a very beautiful chocolate gift to give away to their staff as part of their training campaign. Subsequently they used the same packaging design but with a new chocolate design, personalised to their client, as a special gift for them.